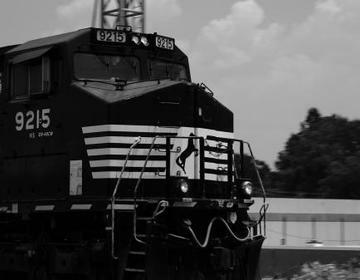 The law firm of Benson & Bingham is experienced in common carrier accidents including but not limited to Am track passenger trains, locomotives, freight trains, bus accidents, airlines, and trolleys accidents. Often these types of carriers actually collide causing horrific damages. Train accidents are caused by the following issues: Impacts with tractor trailers, Derailment of train cars, Collisions of freight trains and passenger trains and buses or tractor trailers, MBTA accidents, MBCR accidents, Trolley or subway crashes, runaway-freight cars, improperly parked train cars, negligent railway maintenance, negligent security at trains or railroad stations, commuter rail and light rail accidents, sudden and uncontrolled train movements, wrongful death accidents, amputated limbs at railroads, poor maintenance of rail terminals, failure to warn of safety hazards, carelessness in railroad crossing design and maintenance, failure to warn of low-bed truck hazards at crossings, negligence of conductors, drivers, or engineers, illness on trains, excessive speed causing de-railments and/or collisions due to inability to stop in time. Benson & Bingham work with the NTSB and NHTSA to investigate accidents. Given the complexity of train accidents, you will need an experienced and trained accident attorney to fully comprehend the tenets of the case. If you have suffered or been injured from a train accident, whether Amtrak, Union Pacific, or another local train company, contact the law firm of Benson and Bingham. We have experienced personal injury attorneys who understand medical conditions and accident related injuries.